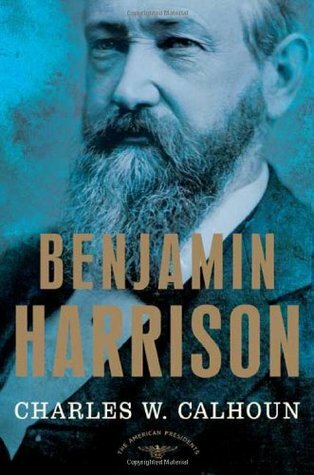 Few American presidents have descended from lines more distinguished for public service than the one that produced Benjamin Harrison. Beginning in the seventeenth century, a succession of five Benjamin Harrisons figured prominently in the development of colonial Virginia. The last one held extensive tracts of land, the jewel of which was Berkeley plantation, on the James River. Benjamin Harrison V represented Virginia in the Continental Congress, headed the committee that reported the Declaration of Independence, and rounded out his political career as governor of the new state of Virginia. Benjamin V’s son, William Henry Harrison, added even greater luster to the family escutcheon. Born at Berkeley three years before his father signed the Declaration, William Henry entered the army at age eighteen. Posted to duty in the Indian struggles in the old Northwest, he soon distinguished himself both as a soldier and a politician. In 1811, while serving as governor of Indiana Territory, he destroyed the Shawnee chief Tecumseh’s project for a defensive Indian confederation at the Battle of Tippecanoe Creek. As a general in the War of 1812, William Henry Harrison won an even more significant victory over the British at the Battle of Thames River in October 1813. It was, however, Tippecanoe that more prominently entered into political lore and lent its victor his indelible sobriquet.